After Giancarlo Stanton rejected deals to the Cardinals and Giants, the Yankees sensed opportunity and have reportedly reached an agreement to acquire the NL MVP. While the Shohei Ohtani decision Friday was the most anticipated news item of the offseason, this is a stunning and fascinating development. The stove is piping hot. Already in possession of the only player to rival and exceed Stanton’s power and frame in Aaron Judge, the Yankees now have each of the game’s Statcast Gods — if Stanton approves the deal. Complete details are not known regarding the return for the Marlins. Stanton wanted to play for a winner and he would join a Yankees team that advanced to the ALCS last year and is loaded with young talent and set up to enjoy a long window of contention. While Ohtani has a chance to be a historic figure as a two-way player, the only MLB team to ever have two 50-plus home run hitters in the same lineup in the same season was the 1961 Yankees with Mickey Mantle and Roger Maris. We might have just witnessed transactions with historic implications on back-to-back days. The Yankees lineup will be absurd. Let’s not forget about Gary Sanchez and Gregory Bird. The ramifications of the deal are fascinating. The Yankees (89 wins) trailed the Red Sox (91), Astros (97) and Indians (93) in the AL in projected wins before the deal. Stanton could swing the AL East race in favor of the Yankees. I assume Stanton and Judge would slot in corner outfield spots and occasionally fill the DH role for a respite. Does Stanton eliminate the Yankees as Bryce Harper favorites or even contenders next offseason, or would the Yankees still be willing to court Harper and place him in center field? sounds like yanks are planning on keeping gardner. if they get stanton, they'd likely rotate those two plus judge in the 2 corner OF spots plus dh. If the deal goes through, it’s going to be interesting to see how Stanton’s power fits as Yankee Stadium II and its absurdly close right-field wall. Mike Petriello examined the Statcast data and found there might be as large of a change as we might expect. If Stanton had called Yankee Stadium home in 2017, the home run difference would have been… maybe nothing at all! Still, I’d be interested to see if Yankee Stadium II helps Stanton build upon and consolidate the skill gains he made last season, through a closed stance, in reducing his strikeout rate by six percentage points en route to a career-low (23.6%) mark, while still smashing an-MLB best 59 home runs. 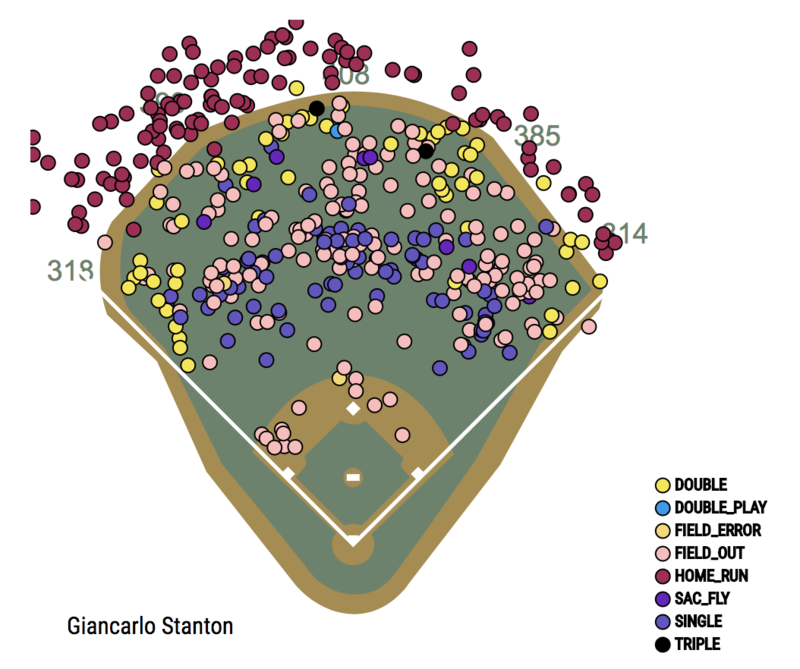 While Stanton didn’t dramatically change his spray chart and batted-ball profile, he made better contact and 34.3% of his fly balls went for home runs. 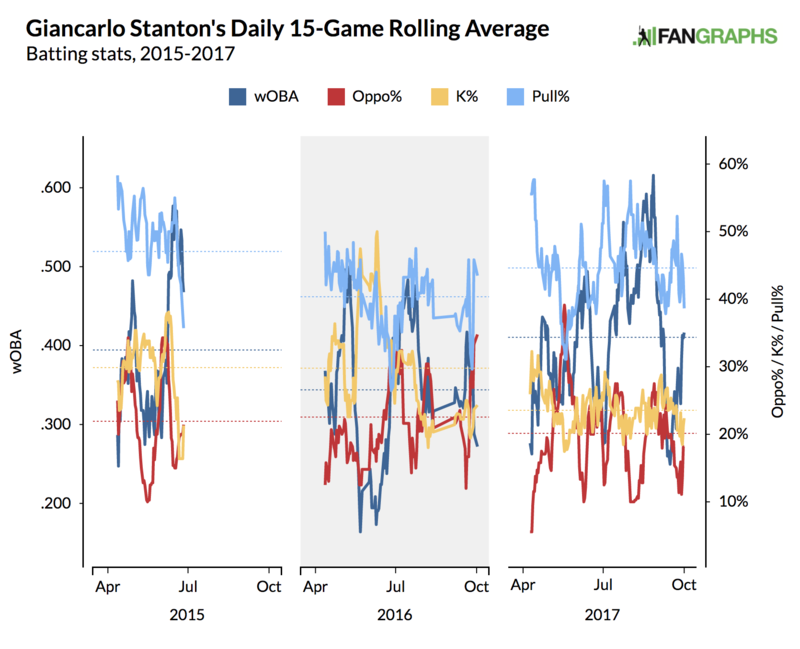 We don’t know what the Marlins received yet but the franchise looks to be on the verge of entering a deep down-period and will be without its top drawing card if Stanton accepts. Jeff polled the crowd in his recent front-office rankings and the Marlins were graded to be by far the worst. It’s fair to wonder what exactly CEO Derek Jeter is doing and why an ownership group that paid $1.2 billion to buy the Marlins in the summer cannot afford its best player, and has been so desperate to move its best player. If the trade was largely a cash dump as anticipated, then the Marlins are probably not returning cornerstone players in a rebuilding effort. This is akin to being house poor, to buying a the-top-of-your budget home and not being able to furnish it. The Marlins have already moved Dee Gordon, the NL MVP is perhaps gone, and maybe Christian Yelich and Marcell Ozuna will follow. Marlins Park is going often be an empty house in 2018. Yankee Stadium II is going to be filled and the ball is going to be flying. It’s going to be interesting to see if Stanton opts out, and how he ages. But those are longer-term concerns. In the shorter-term, we’re going to see Judge and Stanton together against Baltimore pitching. Let’s hold off on de-juicing the ball another year, MLB. We hoped you liked reading Yankees Strike Deal for Giancarlo Stanton by Travis Sawchik! Wow. I thought the National League was catching up a bit to the American league in talent but the AL just gained about 10-15 WAR on the NL in 2 days. For sure! The NL always seems like a pretty weak league to me but wow. What if Harper leaves? Winning the NL the last few years hasn’t really been much of an accomplishment- after next year the winner might just deserve a “congrats bud”. The last 18 WS have gone 9 NL and 9 AL. But the last 14 interleague season totals have gone to the AL … which seems like a slightly more meaningful sample. This is where sabermetric types lose sight of the big picture (& I include myself as a sabermetric person). There is no question the AL it’s better, but at the end of the season, that has meant absolutely nothing. Winning the NL it’s much more significant than a “pat on the back”. Half the time that makes you the Champion. I’ve never bothered to do the math, but it seems like the truer test would be interleague record in NL parks. NL teams don’t have DHs on the roster and are at a big disadvantage in AL parks. You might say AL teams are also at a disadvantage in NL parks when they have to sit a DH who can’t play the field, but that doesn’t feel comparable to me. I’m sorry if you’re a fan of an NL team. No offense meant. It’s just a given that way crappier players play way more in the NL. Scrapjunk bench players and scrapjunk relievers get used way more. I just think AAA players get way more playing time in the NL. Think about the Reds starters and then their bullpen. It’s not major league but those guys pitch a bunch and other teams pad their stats. The cerebral nature of NL ball is SO much more satisfying! A byproduct of having no DH is forcing both teams to use their entire team, not just 9 hitters and 2-3 pitchers. 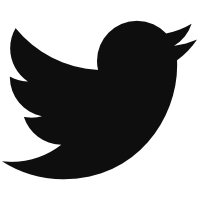 It’s called strategy, and it’s far more enjoyable-as well as being historically consistent. So keep your superior, condescending attitude and understand that NL fans like baseball the way it was always meant to be. What did the White Sox, Orioles, Rangers, Mariners and Twins starters and bullpen do to you? Don’t they deserve your love too? 1) You’re making an arbitrary guess on the relative impact of NL teams playing with a DH vs. AL teams playing without one. The simple fact is that each league is better equipped than the other to play by its own rules. The raw difference is a wash. Now, DHs do get about 75% more PAs than do pitchers in interleague games, or 1.8 more PAs per game — but it’s an absurd stretch to hang the AL’s massive interleague edge on a modest edge in one batting position for 1.8 PAs per game. 2) Even if your point was true, the AL’s interleague road W% since 2004 is .496, which is +.035 above the same-league road W% of .461 in that span — or +5.7 wins per 162 games. The AL is just better. I don’t doubt the AL is stronger than the NL, but I’m a Mets fan myself and I believe the lack of a DH in the NL creates a more strategic environment. The decisions of pinch hitting, utilizing a greater part of the team, I believe require more decision making which I happen to prefer. Also, I happen to despise the Stanton trade due to my extreme bias haha.